The History List is an online resource of events at historical sites, tours, reenactments, conferences—whatever organizations choose to list. You can visit the site to see what’s coming up in your state or sign up for one of its weekly mailing lists for your area. 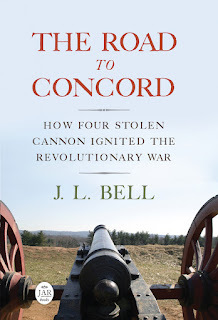 The History List site is also the only place online now where you can now buy a pre-signed copy of The Road to Concord. All the profits from those sales support the History List. 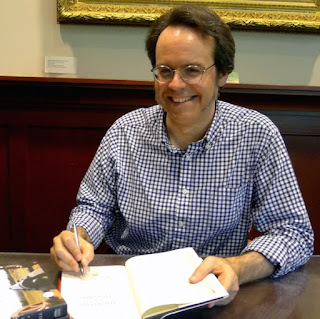 The site’s shop offers a miscellany of history-celebrating T-shirts, books, and other products, including Sam Forman’s biography of Dr. Joseph Warren, also autographed. Lee Wright at the History List is also the organizer and proponent of History Camps. At the end of this month I’ll be one of the speakers at History Camp Pioneer Valley, talking about on rural Massachusetts’s uprising against royal rule months before the Revolutionary War began; that event is now sold out with a waitlist. The next History Camp after that is in Denver. Looking good, John. All the time on the road must agree with you. Thanks, John, for letting people know about this, and thank you for the opportunity to make these copies available.